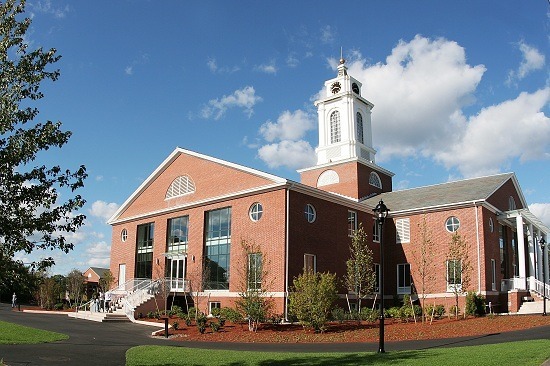 BENTLEY UNIVERSITY is an internationally recognized business school, dedicated to preparing the next generation of smart, nimble and compassionate leaders. A diverse arts and sciences program, combined with an advanced business curriculum, prepares students to make an immediate and lasting impact in their chosen fields. Located on a classic New England campus minutes from Boston, Bentley is a dynamic community of leaders, scholars and creative thinkers. The Graduate School stresses the role of technology on business practice, in offerings that include an MBA, master of science, PhD and executive education programs. Applicants to the Bentley MBA program must submit all of the following materials to the Admissions Committee: a completed application form; official copies of all transcripts for all post secondary academic work; an official GMAT score report; two letters of recommendation; essays (topics detailed in application); and a resume. Applicants to the fu...Applicants to the Bentley MBA program must submit all of the following materials to the Admissions Committee: a completed application form; official copies of all transcripts for all post secondary academic work; an official GMAT score report; two letters of recommendation; essays (topics detailed in application); and a resume. Applicants to the full-time MBA program or the MS + MBA program must sit for an interview; interviews are optional for all other applicants. In addition to all of the above, international applicants must also submit an international student data form and confirmation of financial resources; a copy of their passport name page; and TOEFL score. International applicants are strongly encouraged to use a transcript evaluation service. Bentley admissions officers pride themselves on personalizing the admissions process by looking at the whole person when making admissions decisions. Work experience is strongly preferred but not required. The majority of Bentley MBA students attend the part-time evening program. The full-time program is comprised of 10 percent of the student body. Bentley typically draws “academically capable people with many diverse backgrounds,” although some here “wish there were fewer people coming straight out of a four-year program,” even though such students “are still surprisingly able to contribute to conversations. However, they lack a certain perspective.” Bentley MBAs enjoy “a beautiful campus and buildings.” Grad classes “are concentrat¬ed in a couple of buildings near each other,” a blessing during the cold Massachusetts winters. So too are the “shuttles around campus.” Even so, some feel that the space ded¬icated to graduate students needs to be expanded. One writes that the school “should have more options for dining on campus and more places suitable for graduate students to study either individual[ly] or in groups.” Most part-time students must balance “a heavy course load” with work and family responsibilities, leaving little or no time for extracurricular and other campus activities. Those not so burdened report that “Campus activities are in abundance, from professional to entertainment. There is usually at least one club or association hosting an event open to the whole school body” at any time. Campus organizations “cater to different educational paths and cultures,” with a num¬ber representing various international student constituencies.Off-campus entertainment is also readily accessible, as Bentley is located in Waltham, a mere 10 miles from downtown Boston. Both Boston and Cambridge are easily accessible by train. The school also runs a regular shuttle between the Bentley campus and Harvard Square. Bentley’s Nathan R. Miller Center for Career Services (CCS) “offers a great deal of sup­port in finding career opportunities” for the school’s MBAs. Career Advisors receive a strong assist from Bentley’s solid “reputation among Boston-area employers” as well as from professors who “use their networks” to help their students. Students here also ben­efit from the Job Search Skills (JSS), a program designed to help them better position themselves in the battle for top jobs. JSS programs vary by area of concentration, mean­ing students receive plenty of field-specific assistance. The CSS provides lifetime service to alumni, another huge plus. Top employers of Bentley MBAs include: Boston Scientific, Converse Inc., Covidien, Deloitte Consulting, Federal Reserve Bank of Boston, Ernst & Young, Fidelity Investments, EMC, Genzyme Corporation, JPMorgan Chase & Company, KPMG, Morgan Stanley, PricewaterhouseCoopers, Microsoft, National Grid USA, Nuance Communications, Raytheon, Staples, and State Street Corporation. Bentley is a national leader in business education, blending the breadth and technological strength of a large university with the values and student focus of a small college. Bentley educates students and generates new knowledge by uniting the rigor, relevance, creativity and intellectual dynamics of business and the liberal arts. At the McCallum Graduate School, a broad array of offerings, including PhDs in Business and Accountancy, Day and Evening MBA, Master of Science and certificate programs, emphasize the impact of technology on business practice. We seek distinction by:- emphasizing in our curricula and research those fields of knowledge emerging at the intersection of business and the liberal arts, such as,- Business and information technology,- Ethics and social responsibility,- Global commerce and culture;-Continuing to lead in the integration of information technology into business education;- engaging in pedagogy that emphasizes student-centered learning and field-based experiences firmly grounded in theory;- Developing and supporting a faculty that embraces cross-disciplinary endeavors while immersed in the primary disciplines of business and liberal arts; -Refreshing our curricula and disseminating new knowledge by undertaking leading-edge applied research, often in partnership with external organizations;-Continuously improving a sophisticated technology and associated support infrastructure;-Encouraging ethical and socially responsible behavior, and intellectual, social and cultural diversity, in every dimension of institutional life;- Promoting a culture of engagement, and responsiveness to change, in the worlds of professional, political and social practice, both on and off campus.The McCallum Graduate School prepares students for careers in services-oriented, information-intensive professions. We do so by offering:- A distinctive array of MS programs, each offering the depth, sophistication and orientation to emerging practice necessary to launch and advance careers in the knowledge-based service professions;- An MBA designed to educate leaders of knowledge-based service professions, emphasizing the impact of IT on business practice, and the integration of business processes across functional disciplines; - A school-wide emphasis on ethics and social responsibility;-Extensive opportunities to interact with the business community through field-based coursework, consulting projects, work experiences and career advising. Professional MBA 36-45 Credits (Average 3 years), Emerging Leaders 39-54 Credits (2 Years), Bentley MBA, 11 Months. The Emerging Leaders MBA has a required Global Business Experience to different locations each year. This year it was Turkey. There are other GBE electives to China, Dubai, Senegal, Bermuda, France, Ireland and Japan. Others are added as they can be. Theresa Bresten '87 MBA - VP Treasurer HP Hood Inc.
Want more info about Bentley University, McCallum Graduate School of Business Full Time MBA? Get free advice from education experts and Noodle community members. How can Bentley University’s Full Time MBA prepare me for the real world of business?